One of our personal favorites: Absinthe Suisse Verte is the green brother of our famous Suisse La Bleue Absinthe. 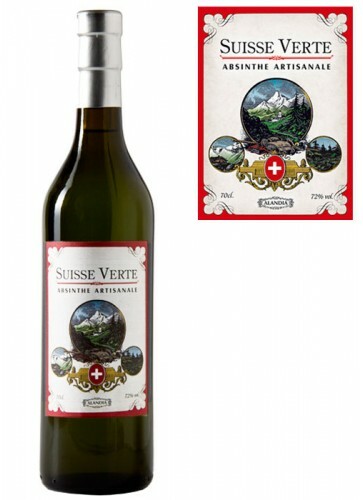 A blend of the finest Swiss wormwood and 7 aromatic mountain herbs give Suisse Verte its remarkably fresh and crisp taste. The green color of this Absinthe is plant-based, meaning that selected herbs are added to the distiallte to set free its natural green color. Early August 1291, the three forest cantons of Uri, Schwyz, and Unterwalden signed the Federal Charter of Switzerland. From this day on, the Alp Republic maintained its independent status. Besides snowy mountains and lush meadows, Switzerland is known for its more than 100 years of Absinthe tradition. With the end of Fée Verte prohibition in Switzerland in 2005, Swiss distillers could once again (legally) proove, that some of the finest Absinthes come from this historical region. 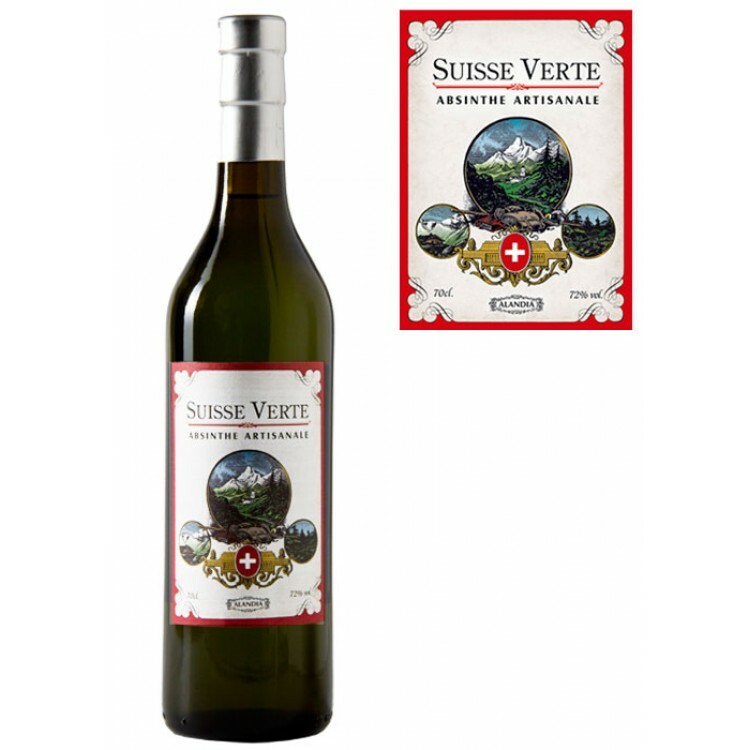 Absinthe Suisse Verte is the green brother of our famous Absinthe Suisse La Bleue. A blend of the finest Swiss wormwood and 7 aromatic mountain herbs give this Absinthe its remarkably fresh and crisp taste. The green color of Suisse Verte is 100% plant-based, meaning that selected herbs are added to the distiallte to set free its natural green color (no colorings). Once you open the bottle, you will smell the premium quality of the wormwood used. 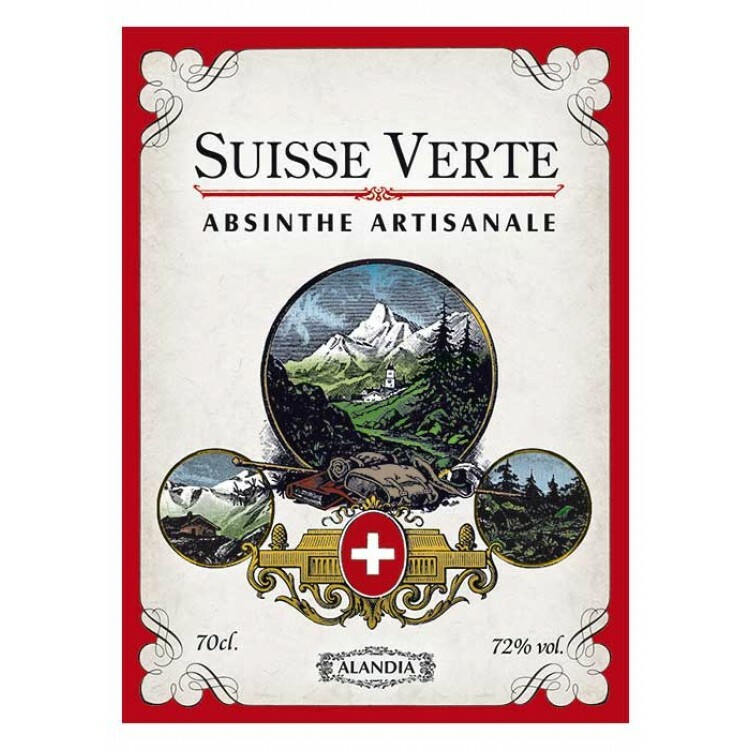 For newbies and connaisseurs alike, Suisse Verte is the perfect Absinthe choice! 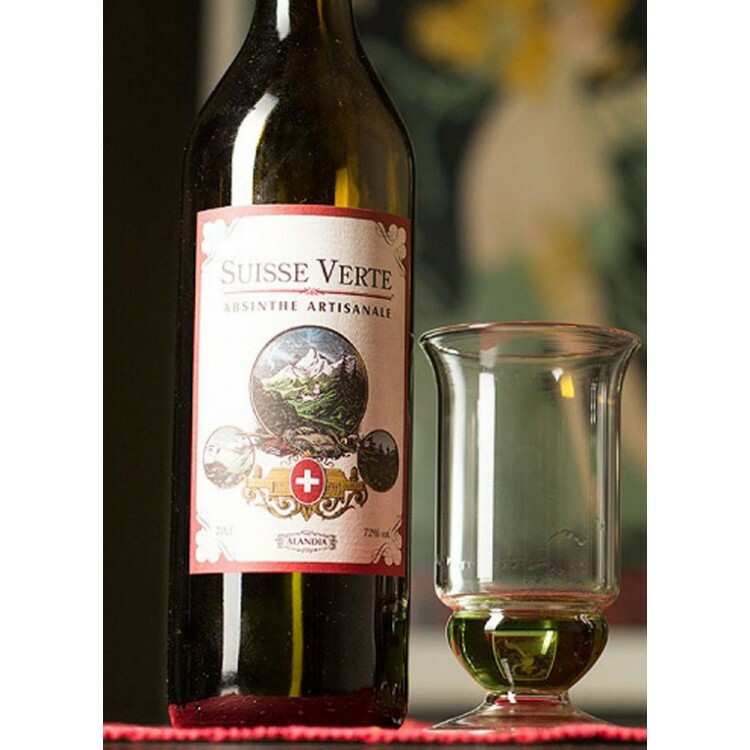 We recommend preparing Absinthe Suisse Verte according to the classic Absinthe preparation method. You need one part Absinthe (approx. 30 ml/ 1 oz.) to three parts ice-cold water and one or two sugar cubes, depending on your preferences. This is how the ritual works: You place the Absinthe spoon on the rim of the glass, put a sugar cube on top and slowly add water. The Absinthe in the glass blends with water and magically louches from green to an opalescent white color. Santé, your sugared Absinthe is prepared! The Suisse Verte is my favorite Absinthe of all. I’ve had several different brands but this one is he best. It’s hard to find good bottles here in the states so Alandia is my European connection. Shipping and customer service is what keeps me coming back. Thank you Alandia! I totally agree with the previous comment! And I add: if you really want to appreciate an absinthe, spend some of your time with the magical SLOW water drops ritual! It can make the difference! Of course, this one is perfect for such a good experience! I expected something like Mansinthe (a very good one too) but I find this far more delicious and balanced in all its fresh and sweet herbal flavours (no sugar for me, please) and a fine, slow and elegant louche. EXTREMELY good! (and strong) Recommended by Walt! This is an excellent, well rounded and balanced absinthe. Drinking it evokes the feeling and atmosphere of an Alpine field in spring where everything is clean, fresh and green.. Highly recommended!